As many of you are aware by now, I have incredibly sensitive lips. If my lips are not scrubbed and exfoliated at least twice a week, they will crack, dry, and/or peel. This means I am extremely particular about which lip colors, and more importantly, which lip balms I use. In the past six months, I have expanded my horizons and tried just about every popular and praised lip balm on the market. I will be sharing the most memorable ten here in this post. Check out my favorites after the jump! Since there are so many lip balms on the market, I always get bombarded with questions regarding quality lip care. 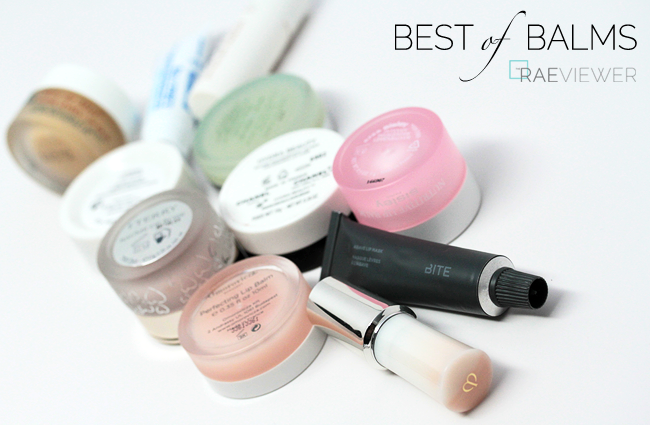 It can be tricky to navigate through all the high-end and designer balms, so I will do my best to walk you through the latest and greatest. It is imperative to keep in mind that my that my lips are impossibly picky, so the average balm does not work for me. 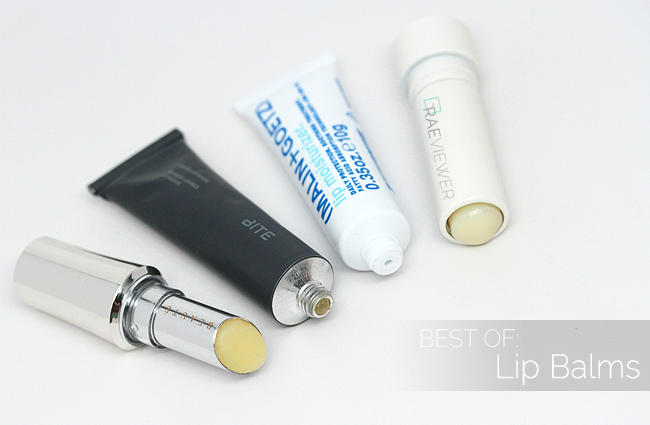 If the likes of Vaseline and Blistex work well for you, then the majority of the lip balms reviewed here should be considered a luxury splurge — not a necessity. I will begin with some classics. The La Mer 'The Lip Balm' ($50 USD) is a hit or miss product with most. It was the first luxury lip balm I ever purchased, and I acknowledge that it is still one of the best. This is not sticky or shiny. 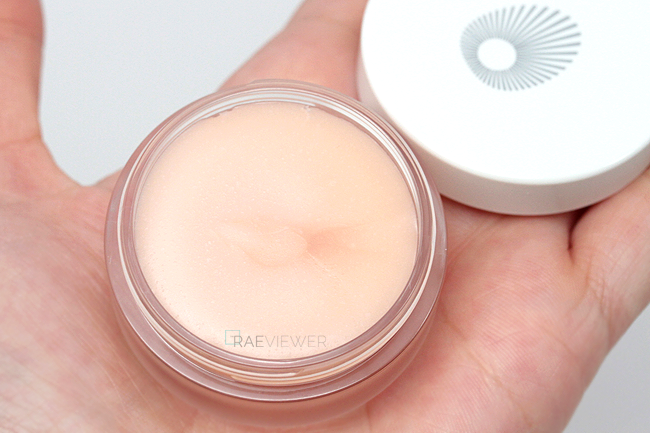 It exfoliates and hydrates, one of the few lip balms that can do both effectively. It is ideal as an overnight treatment, with a quick scrub to slough off the dead skin in the morning. The menthol in the formula can be overwhelming for some (including me), so that is why I prefer the Omorovicza to the La Mer. 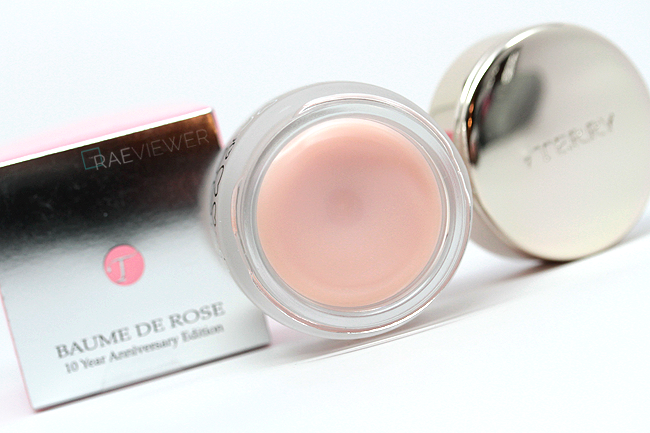 Next we have the Dior Crème de Rose ($27 USD), which was made popular by YouTube. While it is positively a quality lip balm with a gorgeous pink tint and an addicting sweet rose fragrance, it only works on my lips immediately after exfoliation. Creme de Rose feels very comfortable and lightweight when worn, almost like a non-sticky gloss, but it has a tendency to leave my lips parched. That dryness is most likely an effect of the SPF 10. It has not caused peeling, though, so I will use this when I want more color than what the By Terry Rose de Baume can provide. For normal lips without sensitivity to SPF in lip products, Creme de Rose will be hard to beat! 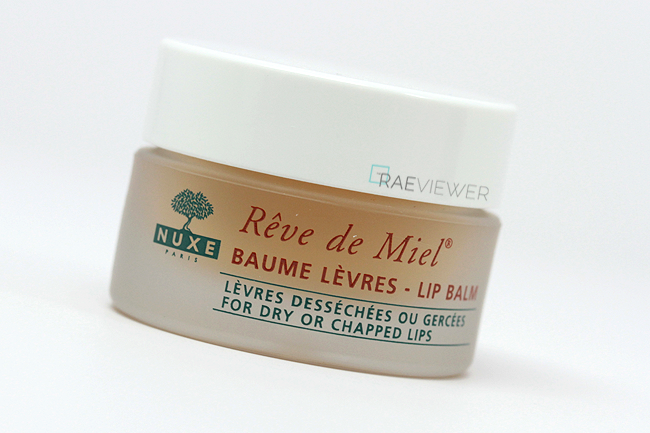 The Nuxe Rêve de Miel Lip Balm ($19 USD) is another product brought to my attention primarily by social media. 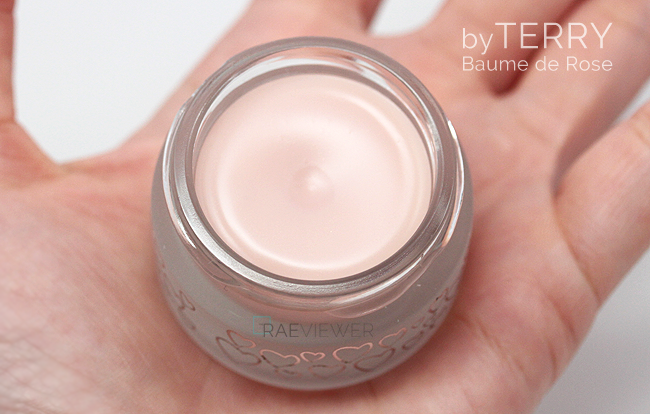 This balm is not part of 'The Ten' feature, but I felt obligated to include it in this review. I fell for the bright lemon scent and whipped texture immediately, but I had the highest expectations for this lip balm because it specifically states on the frosted glass that the formula is made for dry or chapped lips. It, however, did absolutely nothing for my lips, chapped or otherwise! I was disappointed how it merely sat on top of my lips, even when left on overnight. 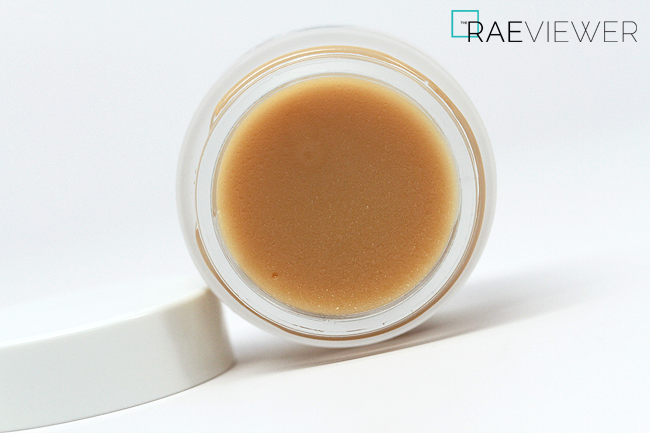 Those who dislike glossy lip balms will enjoy the Reve de Miel's soft matte finish, but I say this is one to avoid. 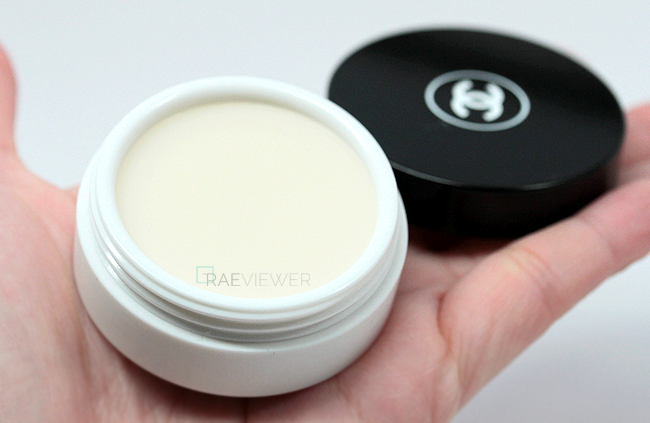 Now for the Chanel Hydra Beauty Nourishing Lip Balm ($50 USD), which is new for Spring 2014. I once swore by the discontinued Chanel HydraMax, but the new rendition is more traditional, thicker and less glossy. Just keep in mind you may not want to use this lip balm outside the home since has an exfoliating effect. It is somewhat similar to La Mer's balm in that manner, though it does not contain any menthol. The Hydra Beauty version is not as hydrating as I had hoped, but it is still worth a try as a maintenance lip balm if you have normal lips. Ultimately, I think most will find the La Mer more worthy of the splurge. The Bite Beauty Agave Lip Mask ($26 USD) is a gentle treatment that I decided to try due to so many reader requests. It smells and tastes sweet, like its namesake. It is sticky and works slowly, so give it at least eight hours overnight to see the effects. It is not as intensely hydrating or able to repair as well as Sisley's lip balm. You might pay a fraction of the cost, but you will also experience a fraction of the results. Also, I have seen plenty of complaints about the packaging, but there were no issues with my tube bursting. Just warm it up in your fist first and press gently along the folded end! For more conveniently packaged and sanitary lip balms, try the Fresh Sugar Advanced Therapy or Cle de Peau's Lip Treatment. The Fresh Sugar Advanced Lip Treatment ($25 USD) is the standout of all the Fresh lip products I have tried, which might not be saying much since all the tinted versions with SPF cause my lips to peel terribly. The Sugar Advanced, however, has a delectable lemon cream scent and reminds me of a thicker Chanel Hydramax balm. I tend to leave this one on my vanity at home and use it to condition my lips while I prep my skin for makeup since it liquefies in heat so easily. The Cle de Peau Lip Treatment ($50 USD) works well as a lipstick primer, even if it is significantly more expensive than the Fresh Advanced Lip Therapy. I am not convinced it is worth what I paid because I have to reapply it a few times before seeing smooth lips, but it does does effectively soften the skin and improve the look of lip lines. The Cle de Peau feels thinner than the Fresh lip balm mentioned above, but I can toss the CdP into a purse or pocket without worrying about application on the fly since it does not fall apart like the Fresh does. UPDATE: I ended up losing this on a flight, and I repurchased it because I do love it! I reapply it often — every two hours when in the air or more often as needed — which does make it an expensive purchase. Still, I believe it is worth the indulgence. Very lightweight so pocket or purse friendly as well! The Malin + Goetz Lip Moisturizer ($12 USD) was an unexpected discovery through the most recent Barney's GWP event and is the newest to join the ranks. I included it since I wanted to provide a worthwhile option for those on a budget. As described by Malin + Goetz, the hydrating lip gel is for "daily maintenance, prevention and treatment of dry, irritated lips." Again, it does not work miracles, but it is the best lip bam priced under $20 that I have tried thus far! It feels like a fluid gel version of the Kiehl's Lip Balm, though less glossy. NOTE: I also tried the Jo Malone Vitamin E Lip Conditioner and Shiseido Benefique Lip Treatment in the past few months. They did not make the cut for this review because they underperformed. Now, I saved the best for last! 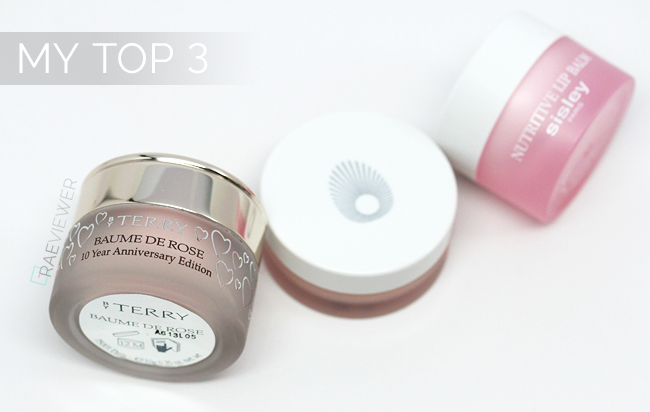 My Top 3 are the Omorovicza Perfecting Lip Balm, Sisley Nutritive Lip Balm, and By Terry Baume de Rose. 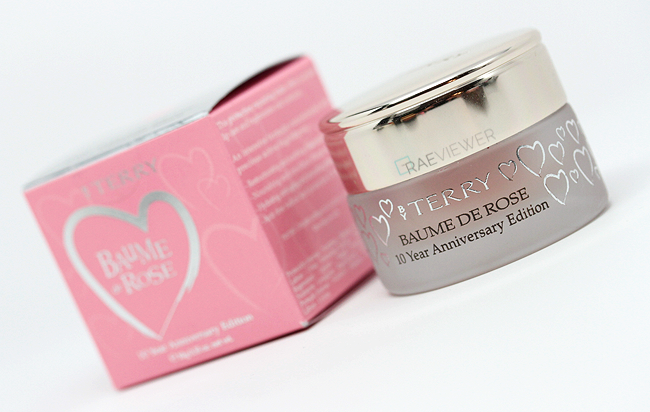 The By Terry Baume de Rose ($60 USD) is my third favorite. 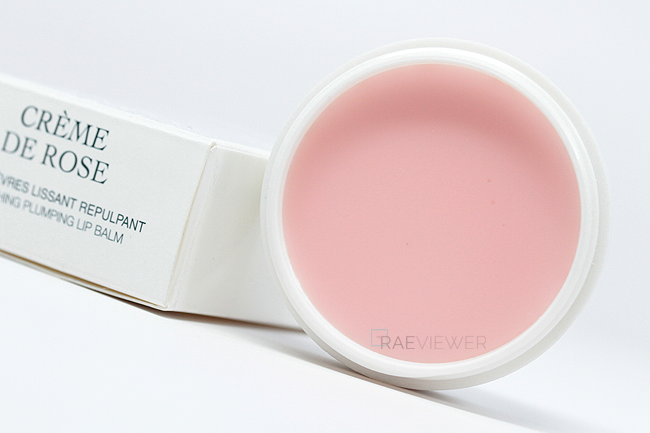 It has a hint of pale pink, far more subdued in comparison to Dior's Creme de Rose. I find the By Terry is a thicker, more hydrating balm, though the Dior has a shinier gloss effect. My lips are ultra sensitive and prone to dryness, so I stick to the By Terry. The frosted glass packaging is ultra luxurious and the rose scent is less sweet, more powdery and elegant. It is important to note that the Baume de Rose contains UV filters, which translates to an SPF of 15, but I did not experience any peeling or dryness! It is the only lip product with SPF that I am not allergic to, which makes this lip balm so memorable and worthwhile in my eyes. Nothing — and truly nothing — works better to instantly relieve cracked or peeling lips the way the Sisley Nutritive Lip Balm ($72 USD) does. If you suffer from peeling as much as I do, this one is a must-have. According to Sisley, "a combination of oils, shea butter and kokum butter helps to relieve sensations of discomfort, re-hydrate and plump the lips, repair and restore lipid levels, and form a protective film against outside aggressions." It basically works miracles. I absolutely love how the thick, creamy gel texture melts onto the lips to soothe dryness and smooth the surface. Furthermore, the Sisley balm is a shade of sunny yellow, but it is free of any artificial coloring and fragrance. Now, if the La Mer did not work for you, definitely give the Omorovicza Perfecting Lip Balm ($45 USD) a try. There is a far more subtle tingling effect, and the texture has the perfect balance between hydration and slip. The Perfecting Lip Balm also has a natural salmon color that stays glossy for a couple hours. The only downside is the taste, so try not to lick your lips while wearing this one! I adore how long-lasting the moisturizing the effects of this balm are, which is why I rely on this one most for daily use. I usually slather on the Sisley at night and follow up with the Omorvicza in the morning. Out of my top three, I recommend giving this a try first! Thanks very much to my two savvy Instagram followers for the recommendation. Bottom Line: While the By Terry Baume de Rose is my "maintenance" balm to keep my lips looking fresh and pretty, the Sisley Nutritive Lip Balm is the best for damage control and the Omorovicza Perfecting Lip Balm is my Holy Grail for every day use! This is such a great post. I have really sensitive lips too, they don't peel or crack as often, but they are constantly dry even after exfoliation. When I eat certain foods, they swell astronomically (food allergies, for the win). I feel like I live off of my CO Bigelow Night Balm because it's the only thing that works. I'll have to check these out! Hi Rae - Thank you SO MUCH for this very thorough and informative post. I also suffer from EXTREMELY dry lips. It is the first thing the SA says to me anytime I go to a makeup counter. Right after I read your post, I ran to Bergdorf's and bought the Sisley and the Omorovicza. I have to say I am already very impressed. Your post has been a HUGE help to me. Keep publishing these awesome posts!!!! This is so helpful!! Thanks, Rae. 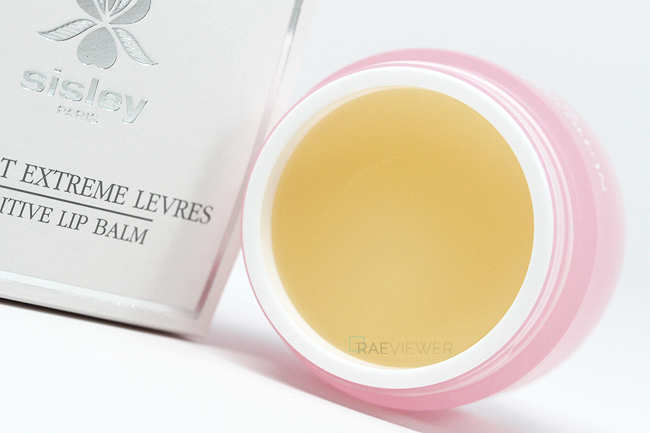 I have Nuxe Rêve de Miel Lip Balm and I felt the same way you mentioned above. I just recently ordered Dior Crème de Rose and Fresh Sugar Advanced Therapy Lip Treatment. I really want to get By Terry but the balms I just stock up will last me quite sometimes. Omorovicza and By Terry will be on my next purchase list. By the way, I remember you mentioned about Hourglass Lip Treatment Oil. You do not like it anymore? Hi Rae! Fabulous post! I need to show this to my daughter as she is what I like to call "the lip balm whisperer", lol! While neither one of us has any issues with severely cracked lips, I do suffer from dryness and occasional peeling in the Winter (damn indoor heating), and most lip balms out there have never cut it for me. 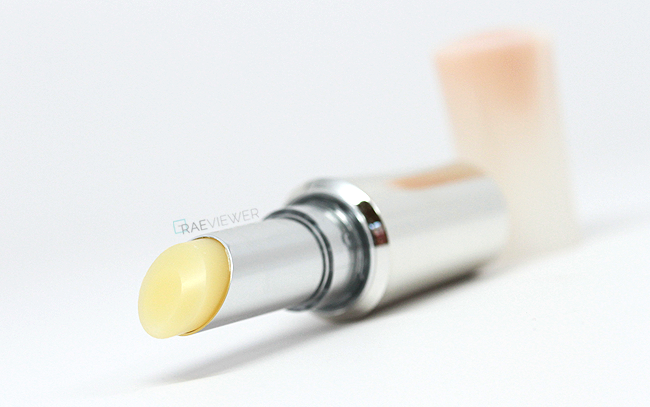 Recently I began using the Clarins Moisture Replenishing Lip Balm and it has been my saviour! The texture is absolutely amazing, and I use it constantly - applied overnight, I wake up with the softest lips on the planet! Have you tried this one and if so, how did it work on you? Hi Rae great post! This winter I suffered from horribly dried lips that left them patchy and cracked. I used a ton of different brands in hopes to find some relief (including the Dior Creme de Rose and Malin + Goetz products that you reviewed in this post). I was just about to bite the bullet and get the Terry balm but I stumbled across The Body Shop Aloe Lip Balm and it has cured my dry lips. If you get a chance to try it out I def. recommend it! You must definitely try Lush's Honey Trap lip balm. That lip balm is the epitome of all lip balms. Only 8 bucks, and it feels, smells and works amazing. You will not be disappointed. I now have severely dry and peeling lips from medication I take so I have tried everything. The best things for me is a humidifier, drinking tonnes more water, low sodium diet and I found this all natural lip balm made from maple syrup and shea butter. It beat out all my high end balms. Wondering if you have ever tried the Chantecaille 'lip potion' balm? And if so what your thoughts were on it? Would love your opinion thanks!! Peeling is almost always a form of irritation. It is acceptable when the lips feel softer and the peeling is gentle like with La Mer's lip balm, but when I refer to peeling.. it translates to painfully dry, cracked lips. Dead skin on top of dehydrated skin. Not an attractive look, especially if the lips were in prime condition to start with. Exfoliation renews the surface without leaving messy, dead dry skin on the surface of the lips. 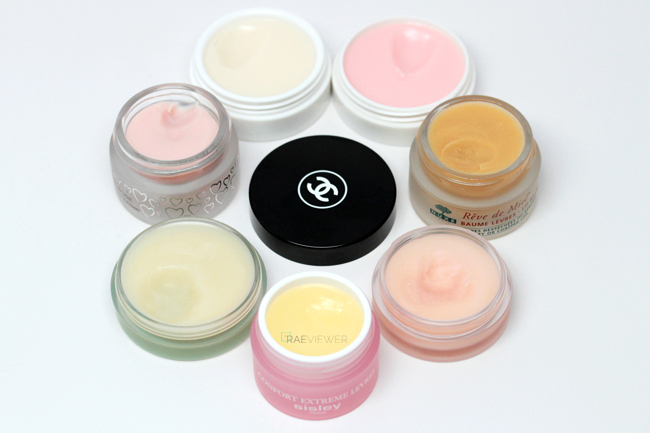 I am wondering what you thought about Hourglass and Burts Bees? I am gonna try what you did. My lips are so terrible and I tried so many lip balms that just didn't work for me. Even if those worked, it only lasted for a month and I had to change another brand again. I am so frustrated that I want to find a dermatologist to figure out what's wrong with my lips, but have no idea which dermatologist to go to. I have had the same problem for years! Glosses are great but only cover up the problem, not fix it. Lately skin care has been my thing. I'm using argan products and maracuja oil directly on my lips. I use a sugar scrub but it doesn't get the dead skin off. If I try to pull it off myself it just ends up bleeding. I have used low end and high end and still am searching! The Dior Rose I like during the day and adore the smell, and right now I'm using the Bite overnight since I have it. My Josie Maran Argan lip treatment was a high hope for me since I love her skincare but it has an odd texture, like it's grainy. I'm going to splurge and get the La Mer and use a couple times a week to exfoliate and the Sisly on other nights to treat. Hope it works! Hi I've tried all of these except the By Terry, most def gonna try it. I am a lip balm addict lol. I agree With you on most of the balms, but I do find that the Omorovicza sticking to the back of my teeth. I Guess it's because of the high content of sugar. (and that's also why it tastes a lot too)I also find it melting in high roomtemprature. Other than that I love it!